We do not sell or source parts through this web site. + Eight or Nine Million since 2000. Allis-Chalmers' history as a manufacturer extends to the 1840's in Milwaukee. In 1914 the growing company entered into the farm equipment business. 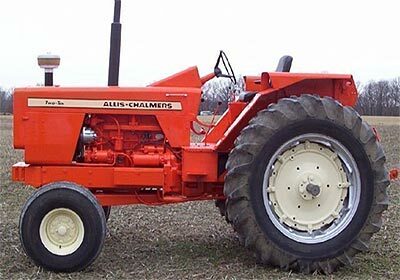 Over the years Allis-Chalmers was responsible for many innovations in farm equipment and grew to become one of the largest and most diverse manufacturers in North America. However, Allis-Chalmers became the victim of rapidly changing financial times and was eventually forced to sell the farm equipment division to K-H-Deutz AG of Germany in 1985. Duetz sold to AGCO inc. in 1990. After the dispersal of the remaining manufacturing businesses in 1988, Allis-Chalmers maintained an office in Milwaukee until January 1999. AGCO has expanded the farm equipment business, largely in Europe and South America. 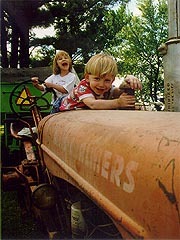 In 2004 AGCO entered the Fortune 500 list of America's largest companies.